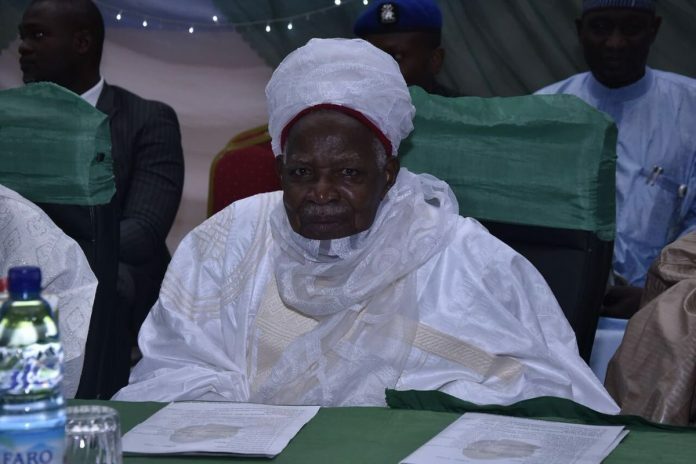 Nigeria’s former President of the Court of Appeal and the District Head of Malumfashi in Katsina State, retired Justice Mamman Nasir, is dead. The Information Officer, Katsina Emirate Council, Alhaji Ibrahim Bindawa, made the announcement on Saturday in Katsina. He said that the late Galadima-Kastina died in the afternoon at the Federal Medical Centre, Katsina, after a protracted illness. According to him, the funeral prayers would be held in Malumfashi at 4:00 p.m.
Justice Nasir was born in 1929 and attended Kaduna College where he obtained the West Africa School Certificate in 1947 and later attended the University of Ibadan where he obtained a certificate in Latin. He proceeded to the Council of Legal Education in London for his bachelor’s degree in Law in 1956, and was called to the bar in the same year. Nasir returned to Nigeria in 1956 and was appointed a Crown Counsel, and in 1961, appointed as Minister of Justice, Northern Nigeria, a position he held for five years before he became the Director of Public Prosecution, Northern Region in 1967, the same year he was appointed Solicitor General, North Central State, now Kaduna State. Late Justice Nasir held this position for seven years before he was appointed to the bench of the Supreme Court of Nigeria in 1975.